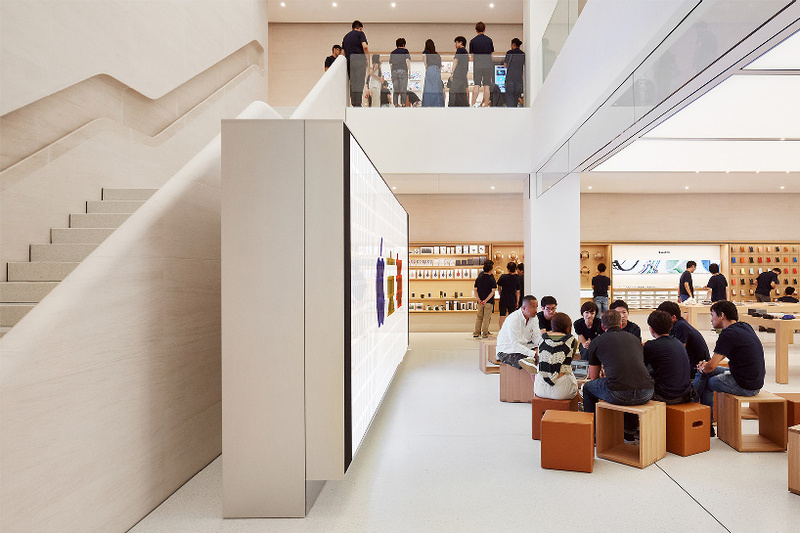 apple has teased images of its first store in the japanese city of kyoto, which is set to open its doors to the public. 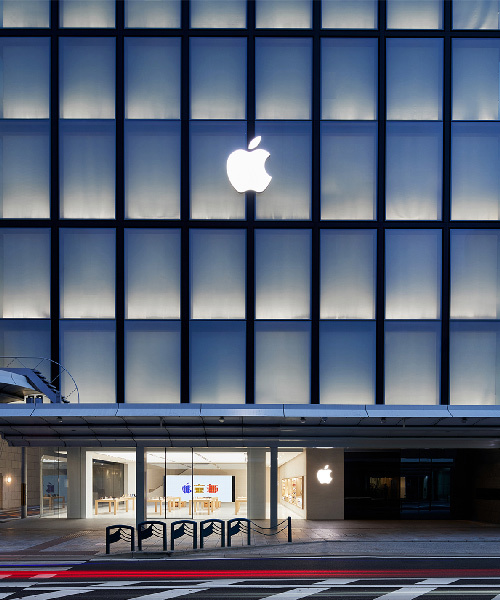 the venue is located on shijō dori, a street surrounded by many of kyoto’s famous shrines and temples, which has served as the city’s main shopping corridor since the 1600s. 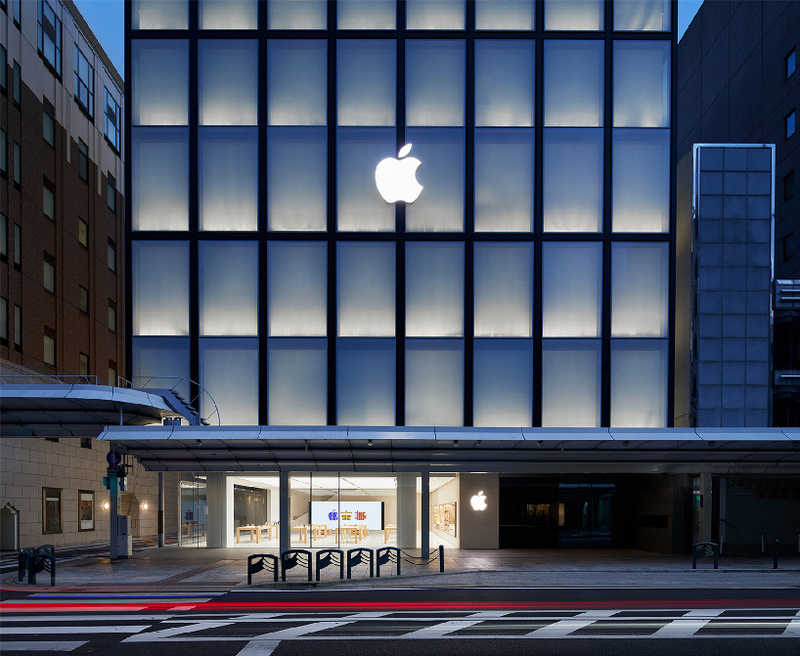 japan was home to the tech giant’s first store outside the US, opening in tokyo in 2003. apple says that is currently undergoing a retail expansion in the country, which will see the opening of several new stores as well as the remodeling many others. the design, developed alongside foster + partners, references materials found in the region, with the upper levels clad in a translucent envelope inspired by japanese lanterns. meanwhile, the use of a lightweight timber frame and special paper on the upper façade recalls the country’s traditional houses. 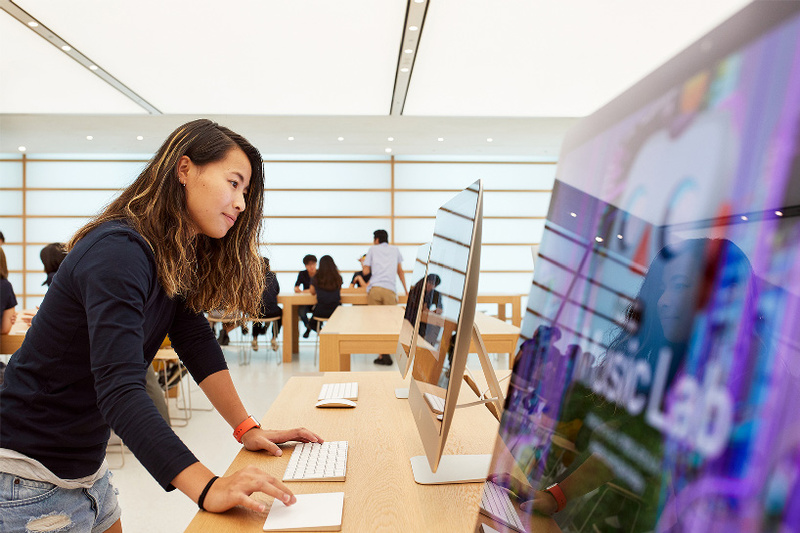 the building is centered around a multi-level atrium where the store will offer free daily sessions on photography, music, coding, and more. the store will open to the public on saturday august 25, 2018, but in the meantime take a look below at the instagram posts of those lucky enough to have already been inside.